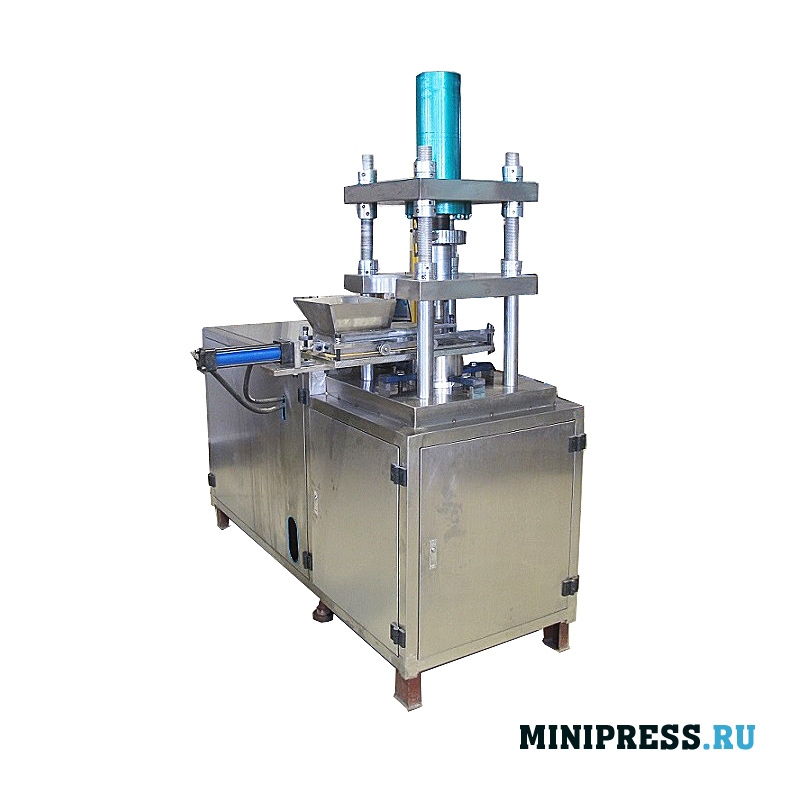 Каталог / Pharmaceutical Equipment / Tablet presses / Archive by Category "Hydraulic Presses"
Model automatic hydraulic tablet press for pressing tablets with a diameter of up to 200 mm. 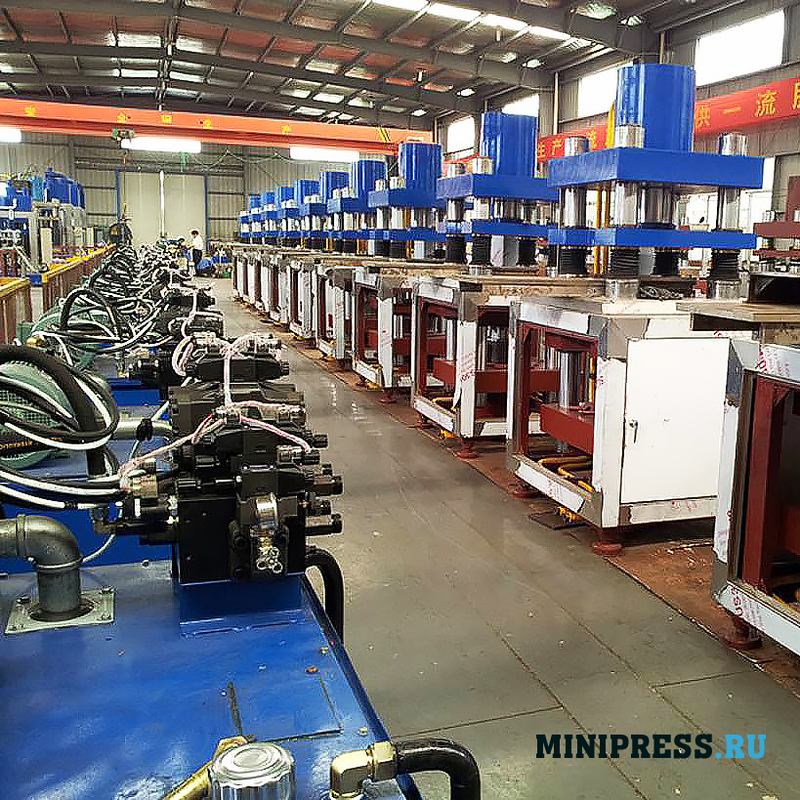 Up to 10 pairs of press tools can be installed. 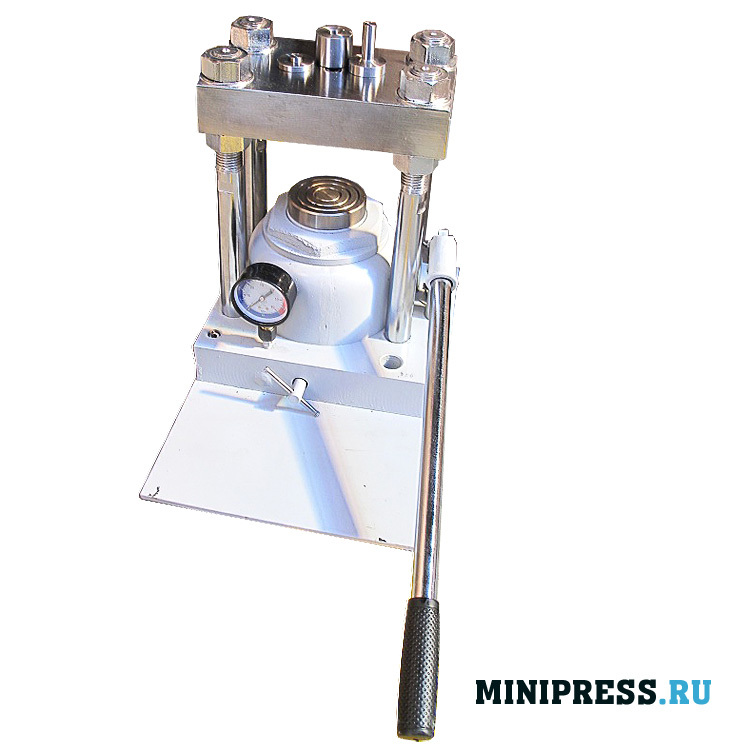 The hydraulic press is made of stainless steel. Maximum productivity of 2000 tablets per hour. There is access to all parts of the press from all sides. 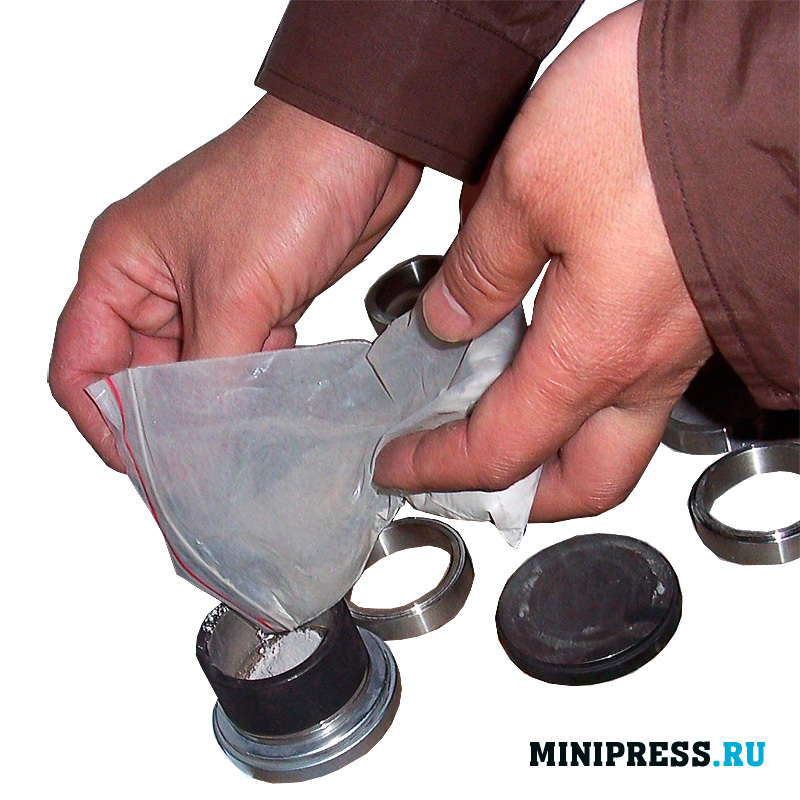 The working area is covered with transparent plastic shields. Comes with a hydraulic station. There is a smooth adjustment of the pressing force and productivity. 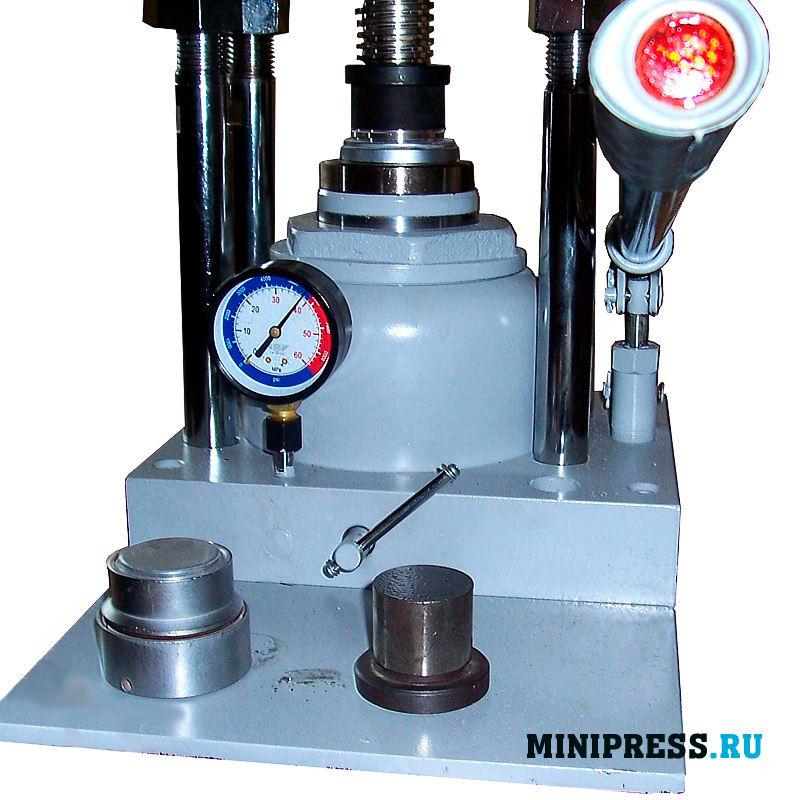 Laboratory hydraulic press with a pressing force of 40 tons. 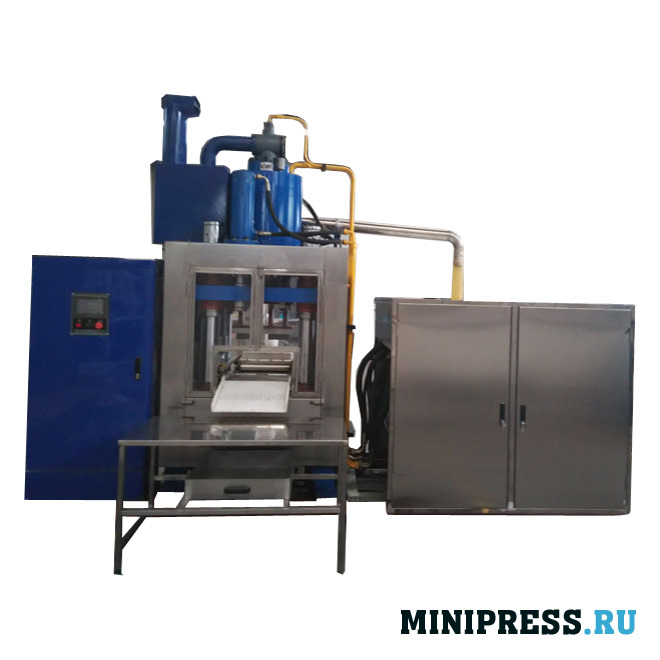 The bench model is used in industry for the production of chemical products, briquettes and tablets in powder metallurgy. 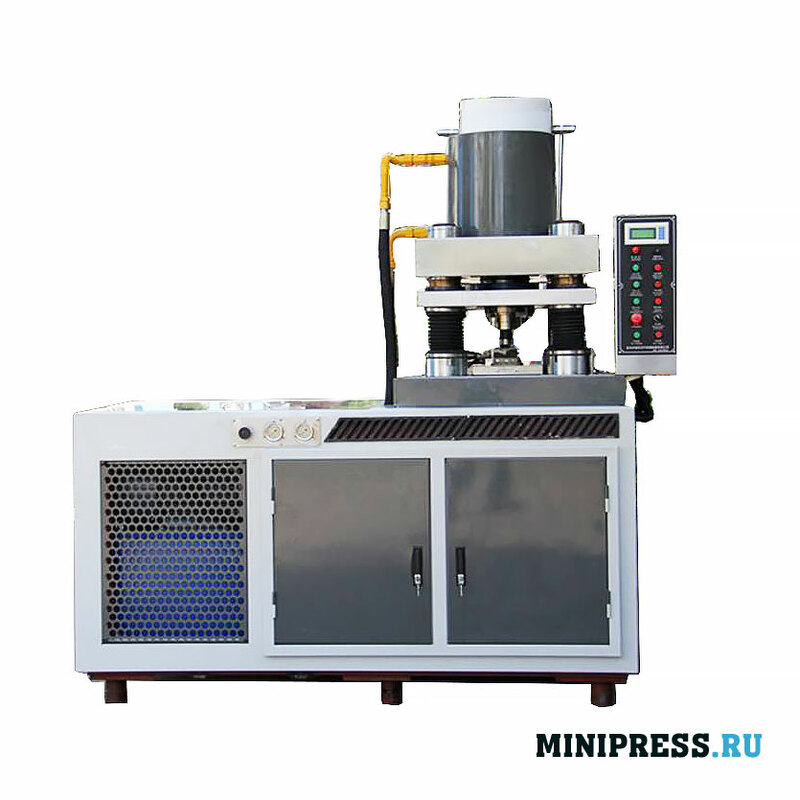 Laboratory automatic hydraulic tablet press for the pharmaceutical, chemical and food industries, in powder metallurgy for the production of tablets, briquettes and boluses from loose powder materials with a diameter of 10 mm to 100 mm. The press operates in manual mode. 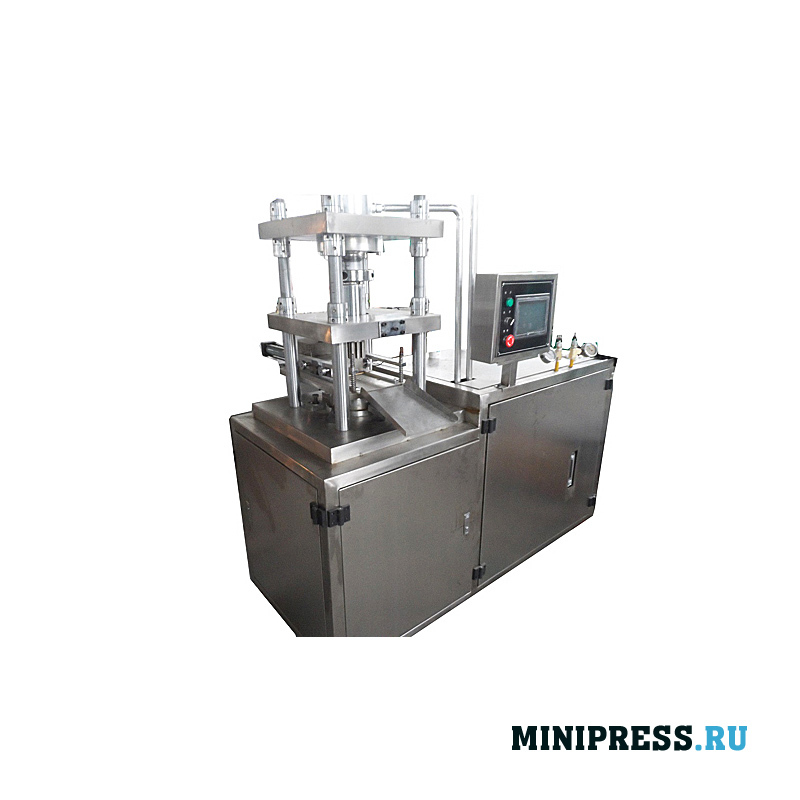 The maximum depth of filling the powder into the matrix is 150 mm. 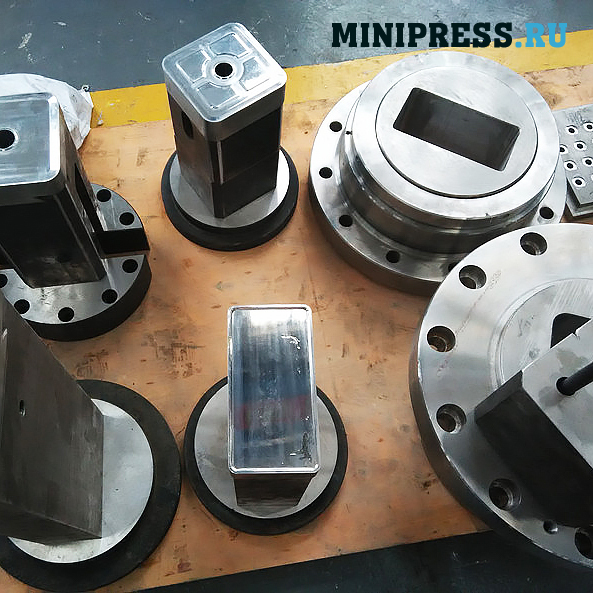 This model of the press makes it possible to produce tablets of various forms: classical, oval, figured tablets and rings with an inner hole. 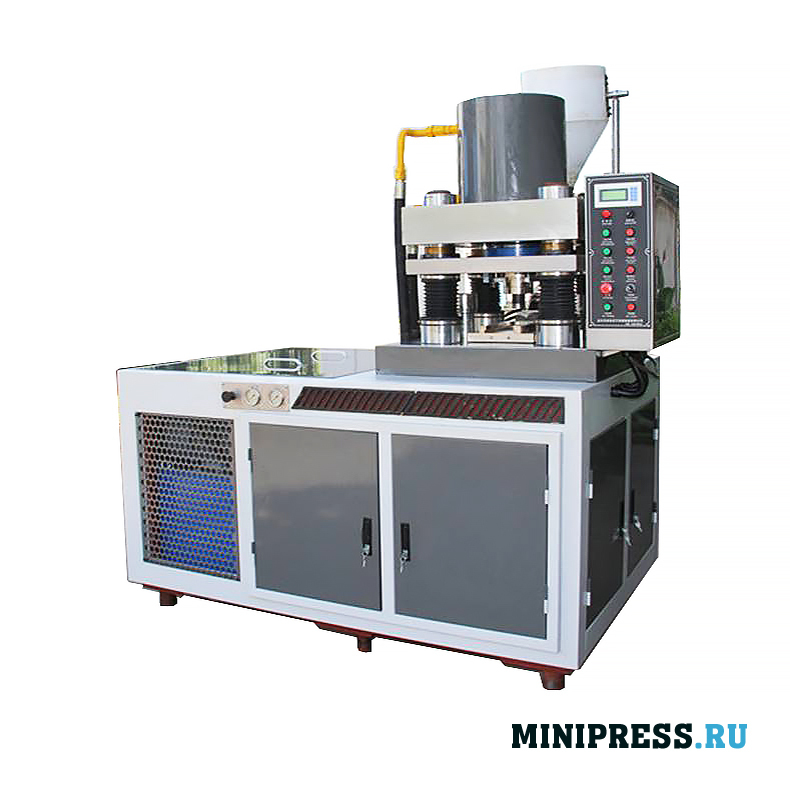 Model of automatic hydraulic tablet press for pressing tablets up to 280 mm in diameter. 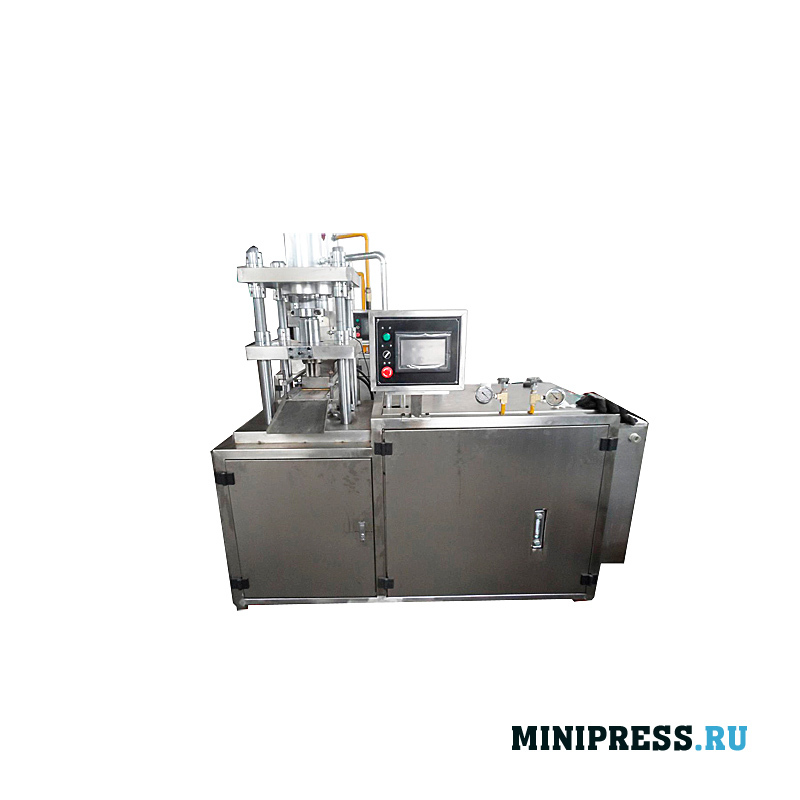 Up to 10 pairs of press tools can be installed. 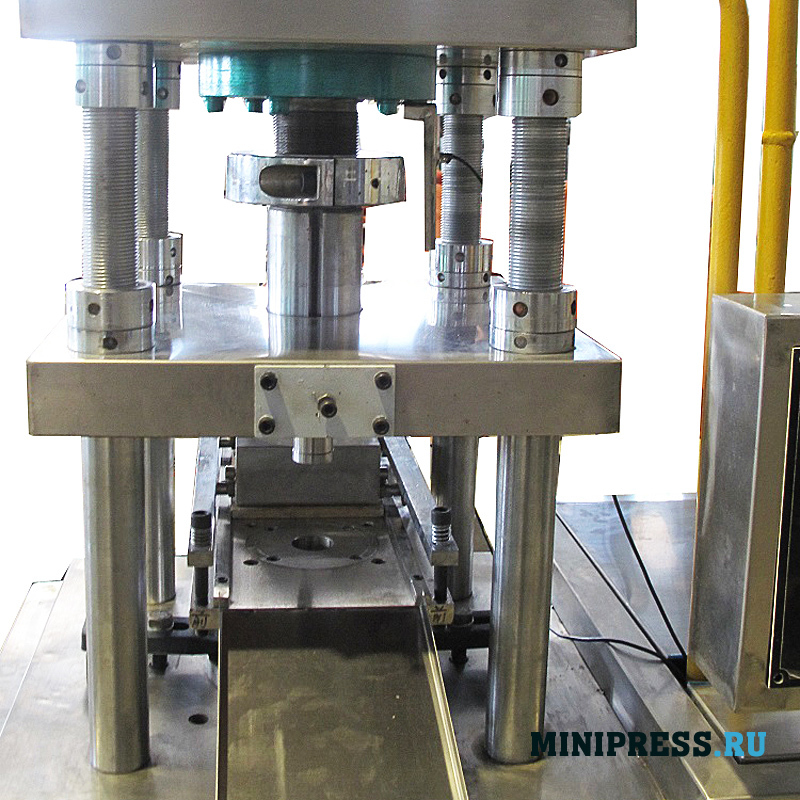 The hydraulic press is made of stainless steel. Maximum productivity 1000 tablets per hour. There is access to all parts of the press from all sides. The working area is covered with transparent plastic shields. Comes with a hydraulic station. There is a smooth adjustment of the pressing force and productivity. 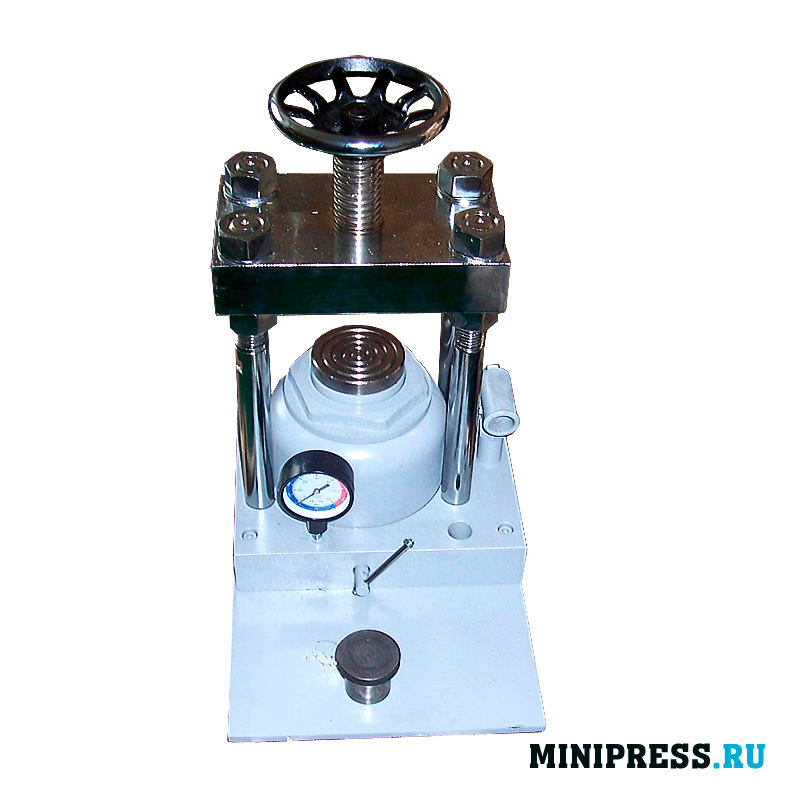 The main pressing force is 500 tons. 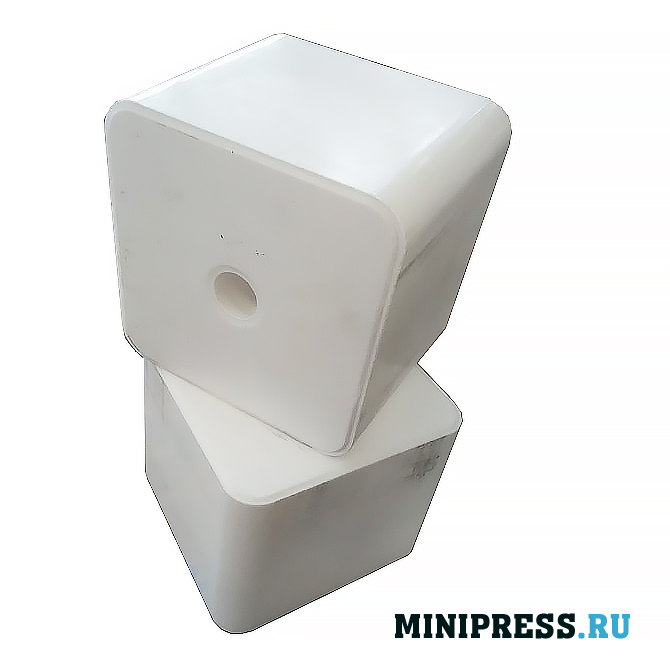 Suitable for the release of tablets of various forms with logos.